Once packed up we descended the hill from Coolah Tops and enjoyed the view once more before heading back towards the coast. We weren’t 100% sure where we were heading, so called Dave and Kate and decided to head to Jilliby and crash on their lawns for a day or so. Collecting wood for the fire. After lunch at the Merriwa RSL we made our way back down the Golden Highway, and then back down to Jilliby. 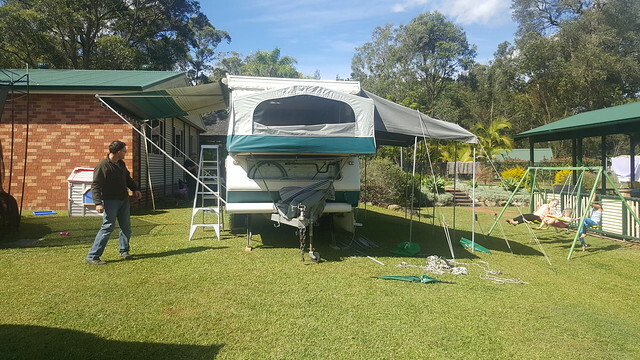 Not long after we arrived Kate told us that they had just purchased a Ga Jayco Swan second hand. 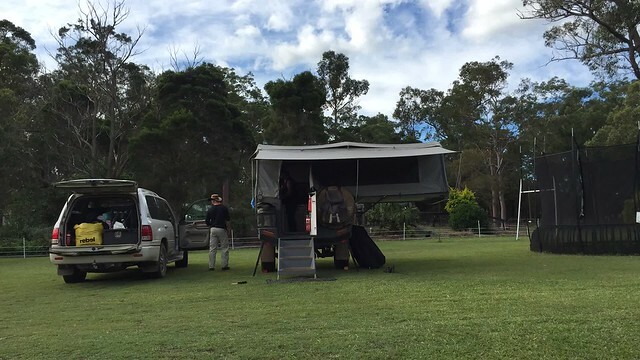 Very exciting news as a looong time ago we had some camping adventures with them in their old GIC camper trailer, and this will then allow them to get out with us, and do some camping again. Pickup was potentially scheduled for the following evening, so we decided to hang around for a couple of nights to assist with the collection process. The next day Kate already had plans so she and the kids did what they needed to do, while Rach, Lucas and Ella went to the shops while I caught up on a little work. 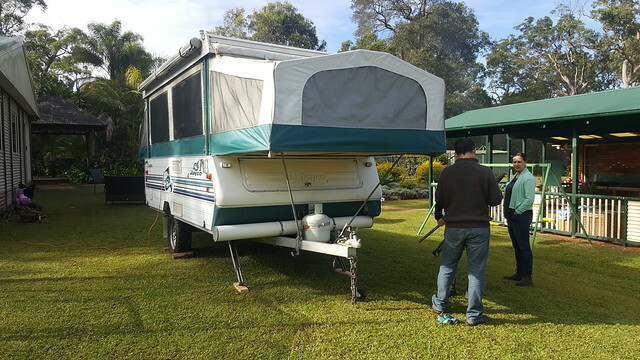 Once Dave got home we headed off to pick up their new Jayco. We brought it back to their place and set up on the grass near us so they could all camp out with us! 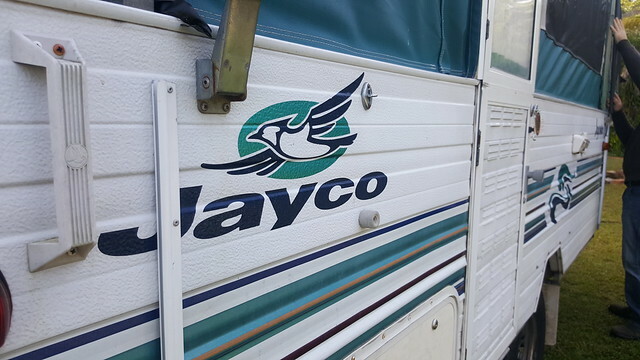 While a little older, the Jayco is in great condition and has been really well looked after. 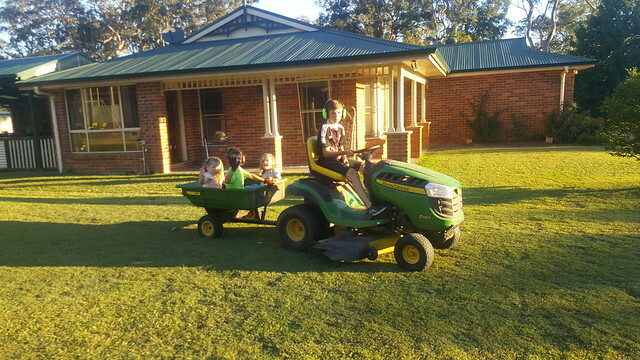 Their whole family can fit in when needed and they have lots of under cover space outside. We can’t wait to get away somewhere and give it a proper test run with them. The next morning we had a slow start and had a really good look at the camper and had a relaxing morning before packing up after lunch. Dave also took this time-lapse of us packing up which went pretty well.